As I am writing this blog post we are scheduled for another round of snow which should drop about 3-6 more inches on top of the 7 inches we already have on the ground. I am hopeful that the snow will come early today and the roads will be clear by tomorrow for we have yet to have a full week of school since December. While I am just as fond of snow days as the next person – the lesson plans are falling behind and I have no desire to extend the school year into my summer vacation. The best laid plans…..I had great dreams of writing a week’s worth of blog posts every weekend so that my readers would have something new to view throughout the week. Alas, that has not yet happened and here I sit writing another lengthy Sunday Salon. I am hopeful that this routine will soon change and I will begin to be more of an active participant in the blogging community. I have been rather faithful in reading your wonderful posts – and I have tried to be a regular commenter. Hopefully this activity will extend to my own blog some day soon. I had great intentions of participating in Natasha’s Bloggiesta this weekend, but that fell by the wayside as well. I did keep tabs on your progress, however, and made notes of some things that I would like to work on in the future. I did manage to update my sidebar by deleting my Work in Progress chart (seeing how NaNoWriMo was completed nearly two months ago) and I also deleted my list of 2010 challenges. There are other items that I would like to address, however, like revamping my header to include better tabs; updating my labels for the past few months; consider adding the copyright protection information; learning how to make these adorable “buttons” and updating my book review lists. Speaking of book reviews…..it has occurred to me that I have been too judgmental in my book review process. 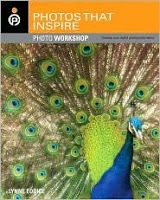 The majority of the books that I have read lately have focused on non-fiction subjects, like photography, photography manipulation, art, and self-help. Rather than review them for you, I have just assumed that these subjects are only of interest to me. but perhaps that has been an unfair assumption. Perhaps I should start reviewing these types of books and allow you to decide if you wish to read the post or not. So, that will be my new resolution. I will try to review ALL books that I have read, despite the potential limited appeal. So, this naturally segues into the reading portion of my life. I have continued to persevere with Little Women and I must admit that it is beginning to grow on me. Yes, this is a simple way of life, and yes, perhaps the characters seem a bit too perfect for my realistic mindset (and when they aren’t perfect they are always willing to listen to the wise reasoning of Marme) — but I like it. And I am starting to look forward to my nightly bedtime reading. I have already decided on my next classic read, thanks in part to Amanda and her wonderful review of Jane Eyre. I read Jane Eyre for the first time about three years ago and enjoyed it, but did not really allow myself the opportunity to truly escape in her world. I have a student doing an independent study with me this semester and we have decided that this would be a good book for her to read. This provides the perfect excuse for me to re-read this classic and really delve into its study. I would also like to re-read the book before seeing the new movie release, due out in March. As far as non-fiction reading is concerned, I am thoroughly enjoying the book, Photos that Inspire by Lynne Eodice. Not only do I love viewing the beautiful photographs, but I appreciate the commentary that explains what makes it such an inspiring photo and the technical knowledge used to take the picture. This is the year that I really want to focus on the composition of a good photograph, and this book is enabling me to learn that first hand. I believe that once I learn the components of composition, I can then begin to learn the artistic expression of manual mode. Lastly, I am slowly reading through the book, The Gifts of Imperfection by Brene Brown. While I have always known that I have been a perfectionist, I never realized how it has controlled my life. It has been an eye-opening experience. I will not change my ways overnight – for this I am certain – but I am determined to learn to let go little by little. I feel as though little time was spent in the classroom this week. We had the day off Monday in celebration of the Martin Luther King, Jr. holiday and Thursday was a snow day. But I have decided that I am going to take a lesson from my students this week….. I must confess that I have always thought of watching a movie as pure entertainment and therefore not a priority on my list of things to do (this relates back to that perfectionist tendency — I must always be efficient). Often students in my class have discussed going to the movies – but my way of thinking told me that it was the lazy way to enjoy a good narrative. Reading the book and analyzing the language was the “true” way to enjoy a story. But lately I am noticing that ALL students discuss movies – even those who are voracious readers discuss the newest release or the cinematic interpretation of their favorite book. It seems as though all conversation in my creative writing class comes around to a movie reference. In fact, it is not only from my students that I am learning this valuable lesson. Our beloved book blogger, Sandy, is not only a voracious reader but also an avid movie goer. Do I think she is lazy? HARDLY! Fellow teacher and book blogger, C.B.James even had a challenge last year that promoted the pairing of books and movies — and yet I still could not shake this inaccurate thinking. Well, now is the time that I start embracing this narrative media. I have decided that it is ok to experience “pure entertainment” – and perhaps, I might learn something along the way. I did manage to watch Fellowship of the Ring a couple of weeks ago and I did enjoy myself – while at the same time realizing that Middle Earth is not as difficult to understand as I once feared. This is an example where watching the movie has inspired me to read the book. I have mentioned that I want to watch the new Jane Eyre movie when it is released in March. I just learned from Sandy that Water for Elephants, a book that I have wanted to read for quite a while, is going to be released as a movie in April. I have just decided to take this book off the shelf, dust it off, and read it over spring break. The Help, a book that thoroughly enjoyed and plan to read again, will have its film debut in August. I have wanted to read the Harry Potter books and watch those movies for several months now – but I have yet to make the time. I feel as though I have been an outsider for way too long and it is now time for me to join the party. Not only will I add more fun to my life – but I should be able to participate more in student discussions. Sorry to hear that the snow just hasn't stopped. It must really become annoying after awhile. I try to do my posts all in one go too, but it very rarely happens like that. So far I have done today's and tomorrow's, haven't got a clue what the rest of the week will hold! 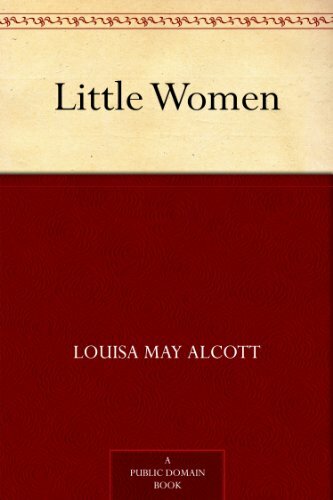 I loved Little Women, one of my favourite books growing up. The photography one looks lovely. YOu should share your non fiction books too. Have a great week. Hi Molly, sounds like you have had a full plate recently. I hope you take some time for just you. We are suppose to get out biggest snowstorm ever Wed/Thur, on top of the 20+ " we already have on the ground……I feel like we'll never see grass again. Hey thanks for the mention! Don't you feel sometimes that all the different forms of media is just overwhelming? I can barely keep up with my blogging and reading, let alone all the movies. (My sister is obsessive about her movies like I am about books. She sees probably six a week, and is a reviewer for several printed and online mags.) Still, movies make for a great family activity in our house, and is actually one thing that my daughter thinks is "cool" around here! Happy snow day it sounds like. I would not want to extend my school year either though! Enjoyable post, Molly…I'm sure that snow days add to your worries about lesson plans, etc., but yes, you could also kick back and read or watch movies. Ha-ha! I wrote a review of The Social Network yesterday, and on my Sunday Salon post, you'll find a link to it. I didn't sign up for Bloggiesta either but did back up my blog by downloading it. Had a busy week reviewing only 2 books and set them up for a giveaway. That does take time! I used to go to three movies a week. Back when I lived in San Francisco in the 1980's during the dying days of the "arthouse" theatre you could see a different double bill every night of the week in San Francisco. I saw between 5 and 8 movies a week for less than 20 dollars, too. These days, I've given up on going out to the movies. The experience is not fun anymore and the movies are not very good. The best "movies" are all made for television these days. The ones that aren't are soon on DVD. I do watch a lot of flat out trash to relax, but I also watch plenty of very good stuff. I thinks it's the moral equivalent of watching a play. Though going out to a play is still fun and a much better experience than watching television. And I would love to see reviews of non-fiction books including ones on how to be a better photographer. I love to take pictures but I'm not a very good photographer. I hope for your sake the snow will not overtaken next week. Snow days are nice, but not so much when you have to make up for them later in the year. I find that I get most of my blogging done on the weekends–there's just no time during the week and my evenings tend to be cram packed with other stuff, so I understand your struggle to juggle everything. I am glad Little Women is finally growing on you. I confess that's one I've never had an interest in reading, despite it's popularity and classic standing. Both my husband and I enjoy watching movies and recently my kick is somewhere along the lines of C.B. James challenge–reading books and then watching the movies that are based on them. It makes for an interesting comparison. Your mention of Fellowship of the Ring reminded me that it was because of the movie I decided to read the books. So glad I did! My plans for Bloggiesta fell through, too… and there was so much to do. Have been considering a reread of Jane Eyre. Somehow I didn't appreciate it much years ago and have felt it deserves another chance. More nonfiction reviews would be great! That's how I felt about Little Women too, except that I didn't ever warm up to it. I like the movie version better! We're expecting more snow as well and I am so ready for spring I could scream. I hope yours doesn't mess up the school week. I love pairing the movie/book together…normally the book is always the best! Water for Elephants is a book that has stayed with me for quite some time..loved that one. I started Jane Eyre and I need to get back to that one before I forget all that I've read!! Hope you don't have a snow day tomorrow..we had 3 in a row..good enough for me! We haven't had a snow day yet, Molly! this is very unusual for us. I fear the snow track has gone just south and east of us – the Maritimes are getting hammered every week too. What we have is what I dread most – cold, and we have our coldest night tonight in many years. Well below -20F! It didn't reach -10F either during the day, so we didn't go out. I'd love to see your review of the photography books because I enjoy photography and need to get better at it – understand more of what I'm doing. I hope you have a good week and that you don't have another snow day ahead of you. I look forward to your weekly posts, Molly, and this one did not disappoint. I, too, had heard that Water for Elephants is being made into a movie, which should be interesting. I enjoyed the book and we had a great discussion on it in our book group. Reese Witherspoon is to play the female lead (I can't remember the character's name in the book) and it will be interesting. Our younger daughter took a class in high school that dealt with analyzing movies. It was fun, and enlightening, to watch her grow in the process. It was an advanced course and there was a great deal of essay writing and she still watches movies with a critical eye. Enjoy the process with your students when you can. Stay warm. Hope the snow has come and gone. I'm in the middle of Little Women too, I was struggling like you, but it is growing on me! At some point, too much snow becomes a pain in the rear. Hope it eases off soon! I think movies can be totally engaging to the brain … and they don't need to be based on books either. If you want to really challenge your brain, just try to watch "Memento." That will blow your mind! Nothing like a movie release to inspire a reader to read 😉 I'm the very same way…then, sometimes after I've read the book, I am reluctant to acually see the movie for fear that the movie will ruin the book! Oy! Have a great Monday and hope your snow just passes right on by. I agree with Jenners–too much snow becomes a pain! I'm glad that you are going to review some of your non-fiction books. I've been curious about your photography books as I got a very nice camera for Christmas and would like to do some reading on the subject. I enjoy your long Sunday posts. For now, at this point in your life, it seems to be working for you. Since it's your blog, you should feel free to do what you want. Don't try to live up to someone else's standards. Just do yourr own thing. I like your idea of reviewing everything you read, rather than just books you think others will respond to. Who knows? Readers might find something interesting about the book. I've been of the same (perhaps misguided) opinion, though. I read a lot of books that I think even most writers wouldn't find interesting, and so I've not reviewed them. But maybe now I'll give it a try. It's been a cold wet winter here in Texas, but, sadly, we've yet to see a single flake. All that seems to come down from the North is the cold! I think it's a wonderful idea for you to review everything you read. I'm especially interested in the photography books you read as it is an interest of mine, too. Sounds like you have a lot of positive things going on right now. I've learned that movies are a great way to have conversations with my son. He's just not going to read the books but he will watch the movie! I think I need to buy some photography books. My food photographs always disappoint me. I for one would LOVE to see reviews on photography books. I'm not really much these days anyway, but I am trying to hone in on my photography skills!! I think reviewing everything is great because you never know what's going to catch with people and what won't. And you may open yourself to a lot of new fans!